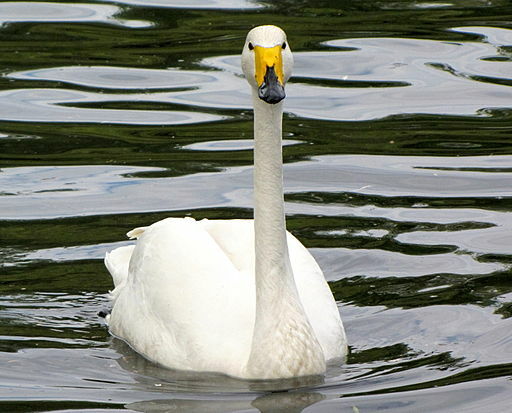 Taxon of the Day reviews the etymology, appearance, distribution and calls (care of xeno-canto) of the 6 species of Cygnus or Swan found in the world and the Catalogue of Life. C. atratus or Black Swan is native to Australia but has been introduced to many gardens and places of human interest in the temperate world like the one recorded in Tawain below. 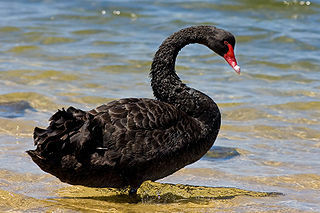 atratus is Latin for 'blackened or dark' which makes sense as the Black Swan is black although has a striking red bill with lateral white stripe. 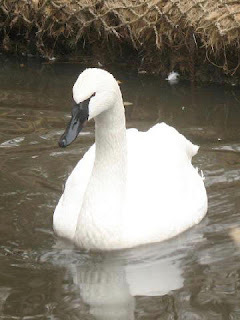 C. buccinator or the Trumpeter Swan is indigenous to North America and its common name is a direct translation of its species epithet where buccinator means 'trumpeter' in Latin. Adults are white with a black bill with a narrow, salmon-red stripe along the bottom. The name unsurprisingly comes from its call which sounds a lot like a beginner's foray into a wind instrument. C. columbianus or Tundra Swan is one of the smaller and more widely distributed species, found in Europe, North America and parts of Asia. columbianus refers to the Columbia River where it was found by the explorers Lewis and Clark and Tundra in reference to the region in which they nest. The adult is white but for its black feet and black bill which has a pink stripe and a yellow top. 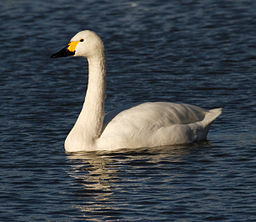 C. cygnus or Whooper Swan is another widely distributed bird found in Europe, North America and parts of Asia. The common name comes from its distinctive bugle like call. It has white plumage with black feet and legs and a striking black bill with yellow triangular patches on each side. 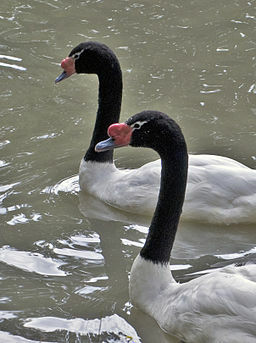 C. melancoryphus or Black-necked Swan is native to South America and has a black head and neck (a translation of melancoryphus in Latin), white body, pink legs and feet, grey bill with a large red knob at base and a narrow white line behind its eye. 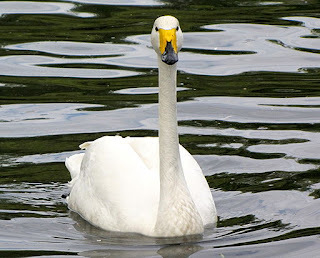 C. olor or Mute Swan is the UK and Europe's most common swan recognisable by their white body, black legs and feet, orange-red bill with a black top, border, and large frontal knob. 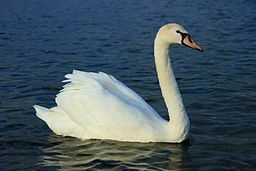 TotD is not clear as to the meaning of olor, google translate produces 'swan' whereas others say it is from the Latin word 'to smell'. The common name has clearer origins with Mute referring to its reportedly quieter vocals than its nosier relatives. However, if the alarm-call recorded by the bird-lover below is anything to go by it seems somewhat implausible.